There has been quite a bit written about Summit County Referred Measure 1A on next month’s ballot, but no discussion on the actual words of the ballot initiative. It is in the mailing you should have received, and you can see it here on the sample ballot: http://www.co.summit.co.us/DocumentCenter/View/10492. The actual measure authorizes collection of a tax, and limits what it CAN be spent on. The measure contains no restrictions or limitations on what it WILL be spent on. It also places no limitations on the locations or ownership of any cleanup sites. You may be in favor of ambulance funding, communications funding, water-quality funding or some combination thereof, but if you vote for this measure you must be aware that there is no guarantee how the money collected from you will be used. It could all be spent on the single item, and you as a voter and taxpayer would have no recourse. So it is all about trust. Trust for the county government that chose to put up a single catchall provision to garner votes for many different interest groups, without saying how the money will actually be spent. Trust for the system that put a monthly rather than the conventional annual tax increase in the voter information pamphlet. Yep, for just pennies a day you might get the thing you support in this bill. Of course, you also might not. 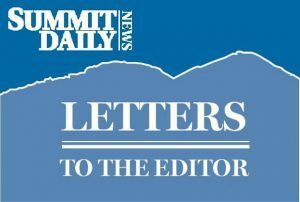 We need Summit County Ambulance Service as it stands to support the part of the county that is not Breckenridge and improved funding for communications, but we do not need to fund it this way. If this measure is defeated, I urge the county commissioners to try again with a clear measure during the April election.